ALI MOHAMMAD BEIGH AND ORS Vs. STATE OF J and K .
Respondent: STATE OF J and K .
3. Brief facts which led to filing of these appeals are as follows: Notification dated 16.06.1997 was issued by the Collector, Lakes and Waterways Development Authority (LAWDA), Srinagar vide No.C- LDA/452-64, under Section 4(1) of the Jammu and Kashmir Land Acquisition Act for the acquisition of land measuring 505 Kanal 06 Marlas situated at Chandapora, Tehsil and District Srinagar, for the construction and development of housing colony for the resettlement of dislocated families of the Dal dwellers. On 01.06.1999, a Final Award was passed by the Collector, LAWDA, Srinagar under the Jammu and Kashmir Land Acquisition Act vide No. G-LDA 293-98 in respect of land measuring 505 Kanal 06 Marlas situated at Chandapora, Tehsil and District Srinagar. The Land Acquisition Officer assessed the compensation amount payable to the applicants/estate holders at the rate of Rs.1,50,000/- per Kanal Abi-Bagh, Rs.1,40,000/- per Kanal for Abi-Awal and Rs.1,30,000/- for Gair-Mumkin. On 01.06.1999, Collector passed the Final Award fixing compensation rates: (i) Abi-Bagh ? irrigated Orchard land (Rs.1.50 lacs per Kanal); (ii) Abi-Awal ? agricultural land (Rs.1.40 lacs per Kanal); and (iii) Gair-Mumkin ? Barren land (Rs.1.30 lacs per Kanal). 5. Feeling aggrieved by the compensation awarded by the Reference Court, State filed appeal CIA No.211 of 2009. Claimants have filed Cross Appeal bearing No.64 of 2011, seeking enhancement of compensation to Rs.4,00,000/- per Kanal. The High Court dismissed the State’s appeal. The Cross Appeal filed by the appellants was also dismissed by the High Court holding that the appellants have not led any evidence which could have been the basis for enhancing compensation to Rs.4,00,000/- per Kanal as has been done in other cases. The review petition filed by the appellants also came to be dismissed. Being aggrieved by the dismissal of their Cross Appeal and the review, the appellants have filed these appeals. 7. Per contra, learned counsel for the respondent”State submitted that the appellants have failed to adduce evidence to justify their claim qua compensation to the tune of Rs.4,00,000/- granted to the land owners. On the contrary, it was submitted that the land owners in Reference No.5 whose compensation has been enhanced to Rs.4,00,000/- have proved their case by adducing evidence in support of the said enhanced compensation. It was urged that the case of the appellants can in no way be compared with Reference No.5 and other cases inasmuch as in the said reference, land owners have clearly proved the rate at Rs.4,00,000/- per Kanal as per the market rate and the High Court rightly dismissed the Cross Appeal of the appellants and the impugned judgment warrants no interference. 10. Learned counsel for the appellants has drawn our attention towards the fact that the villages of Chandapora, Bhagichandapora and Pazwalpora are situated adjacent to each other and share a common border/boundary with each other. The inter se distance between these villages is not much, however, centre to centre distance between these villages is less than half a kilometre. The learned counsel has also drawn our attention to the Site Plan showing inter se location of these villages and the land acquired there from by the Collector, LAWDA, Srinagar, Jammu and Kashmir in the year 1999, for the public purpose of re-settlement of Dal dwellers, which was obtained under the Right to Information Act, 2005 [RTI Act]. In response to the information sought by the appellants under the RTI Act, communication dated 08.12.2015 was sent stating that the villages of Chandapora, Bhagichandpora and Pazwalpora are situated adjacent to each other and shared a common border/boundary with each other. The Site Plan showing the location of the villages of Chandapora, Bhagichandpora and Pazwalporas also fortifies the information furnished that the above three villages are situated adjacent to each other and share a common border/boundary with each other. 12. As noted earlier, village Chandapora is situated adjacent to villages Bhagichandpora and Pazwalpora; while so, there was no reason why the Reference Court differentiated the land of the appellants-land owners of the acquired land in Chandapora land Reference No.15/2002 by awarding lesser compensation of Rs.2,50,000/-. On a perusal of the judgment of the Reference Court in Reference No.15 of 2002, it is seen that the witnesses were examined by the appellants to substantiate their case that the market rate of the land in village Chandapora in the year 1998 was about Rs.8,00,000/- per Kanal. Though the Tehsildar of the area recommended Rs.2,50,000/- per Kanal, the witnesses have stated that the compensation fixed by Tehsildar was not reliable and not based on any material. The appellants have also produced a sale deed by one Mr. Bansilal under which he sold a small strip of land measuring 1360 sq. feet in the vicinity of the acquired land for an amount of Rs.1,00,000/-. But the Reference Court discarded the evidence of witness Bansilal on the ground that under the sale deed only a small area of land was sold and the sale deed cannot be taken to be a representative character of the entire land. In our view, the Reference Court was not right in discarding the said sale deed which was supported by oral evidence of the witnesses, to substantiate their claim that the market rate assessed by the Tehsildar at Rs.2,50,000/- was not a fair compensation. 13. When the lands are more or less situated nearby and when the acquired lands are identical and similar and the acquisition is for the same purpose, it would not be proper to discriminate between the land owners unless there are strong reasons. In Union of India vs. Bal Ram and Another (2010) 5 SCC 747, this Court held that if the purpose of acquisition is same and when the lands are identical and similar though lying in different villages, there is no justification to make any discrimination between the land owners to pay more to some of the land owners and less compensation to others. The same was the view taken in Union of India vs. Harinder Pal Singh and Others. 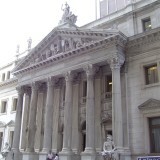 (2005) 12 SCC 564, where this Court held as under:- “15. 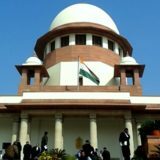 We have carefully considered the submissions made on behalf of the respective parties and we see no justification to interfere with the decision of the Division Bench of the Punjab and Haryana High Court which, in our view, took a pragmatic approach in fixing the market value of the lands forming the subject-matter of the acquisition proceedings at a uniform rate. From the sketch plan of the area in question, it appears to us that while the lands in question are situated in five different villages, they can be consolidated into one single unit with little to choose between one stretch of land and another. The entire area is in a stage of development and the different villages are capable of being developed in the same manner as the lands comprised in Kala Ghanu Pur where the market value of the acquired lands was fixed at a uniform rate of Rs 40,000 per acre. The Division Bench of the Punjab and Haryana High Court discarded the belting method of valuation having regard to the local circumstances and features and no cogent ground has been made out to interfere with the same. 15. In the result, the impugned judgments are set aside and these appeals are allowed. It is held that the appellants are at par with other land owners whose lands were acquired in Bhagichandpora and Pazwalpora in other references, and hence they are also entitled to enhanced compensation of Rs.4,00,000/- per Kanal with 15% solatium (Jabirana) and all other statutory benefits. No costs. Tags: ALI MOHAMMAD BEIGH AND ORSCIVIL APPEAL NOS. 4295-4297 OF 2017KURIAN JOSEPH R. BANUMATHISTATE OF J and K .